This entry was posted on December 28, 2009 at 7:37 pm and is filed under Uncategorized. You can follow any responses to this entry through the RSS 2.0 feed. You can leave a response, or trackback from your own site. 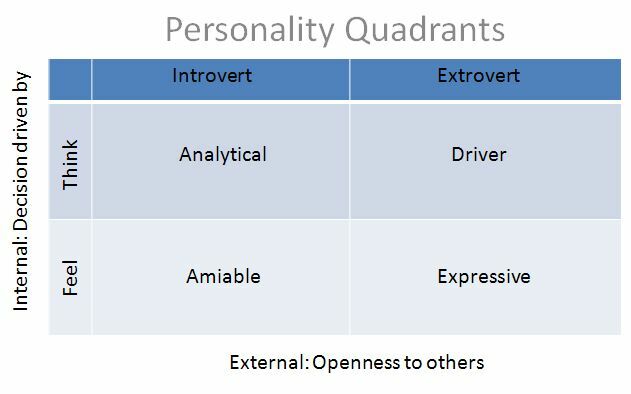 This “personality type” post is valuable — a good summary of the basics. If you learn to spot these four social styles and adapt to them, your life and career take on new dimensions. I teach how to do this specifically in customer service & teamwork for exponential results!